Consider the cost of not taking action! Did you know that dollar for dollar you will earn more return on your investment in your website than on any other form of media marketing? Consider the fact that the cost of one 3x3 display advertisement for just one weekend in your local newspaper can be more expensive than one year’s worth of service with the Nations #1 originator vLender website system! Consider the cost of not taking action. 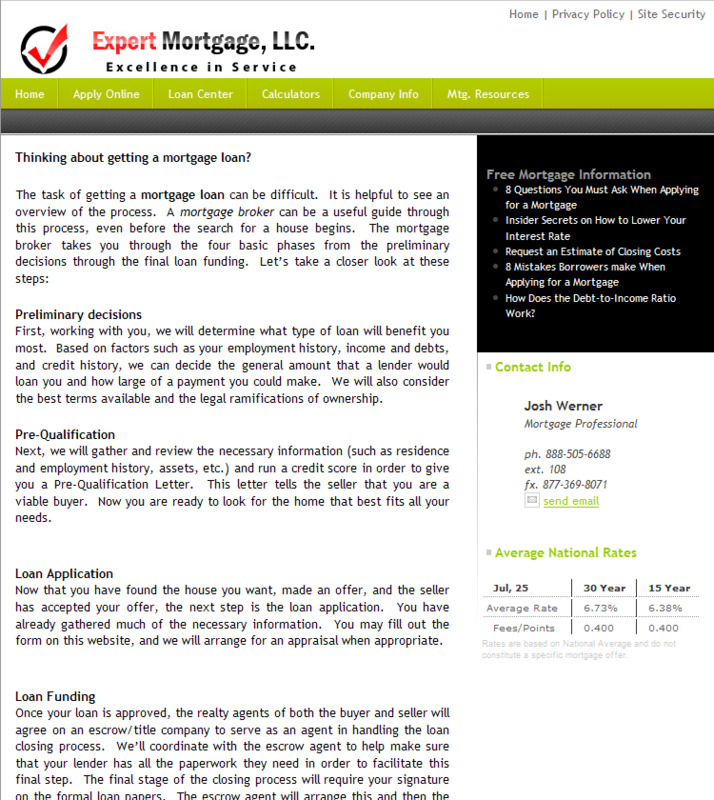 Are you losing local customers to national lenders who do not even have a brick and mortar presence in your community? You bet, and this may cost you thousands! 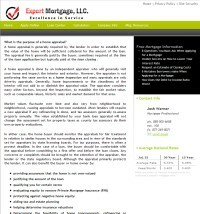 With today’s rapid adoption of mortgage automation and the consumers’ interest in using the web to access mortgage resources, you simply cannot afford to sit on the sideline. 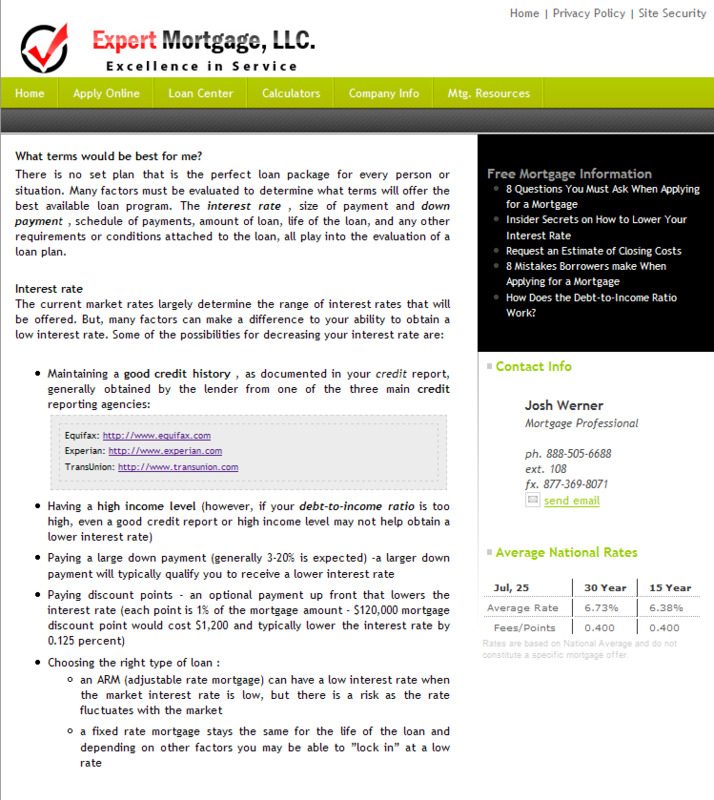 Let's face it, Internet lending is not just about a "website”. Today you must expect more from your Internet solution. To be competitive you must consider rate of return, automation, integration, security, compliance, standardization, scalability, support, process management, marketing, training and most important your service providers experience and technology. Bottom line, if your technology does not work, you lose money. That's why we have invested millions of dollars and over 10 years in research and development to bring you our “best of class” Virtual Lender® Originator website platform. Take a tour of what we have to offer you and even take a free 14-day test drive. Remember, the Virtual Lender is designed to go with you wherever you go, work for you 24/7, and the more you market it, the more you can make from it. 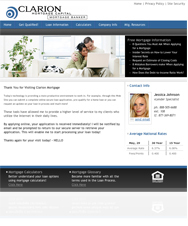 It is true, your website is an asset. When you’re ready to leave the business, you can even sell it! Since you have a record of all your transactions through it, you have a valuable resource that adds to your value! Combine your Virtual Lender website with our marketing programs and experience the benefits of marketing yourself online. From site optimization and search engine submissions to Pay-per-click marketing and banner advertising, we have a marketing solution for you. Make sure you visit our marketing section to learn more about our marketing solutions. With unlimited changes, pages, text and professionally designed layouts, your website will truly become a great asset to you. 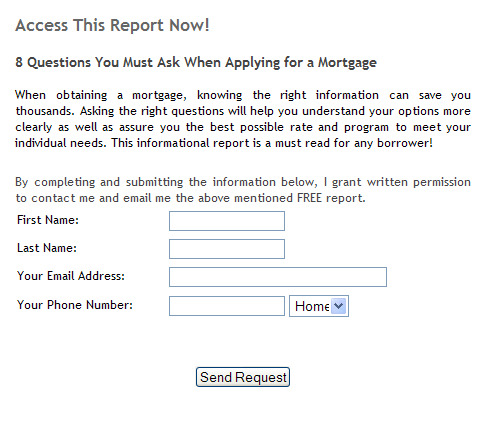 Your borrowers will have full access to apply online, check the status of their loan, view rates and much more! 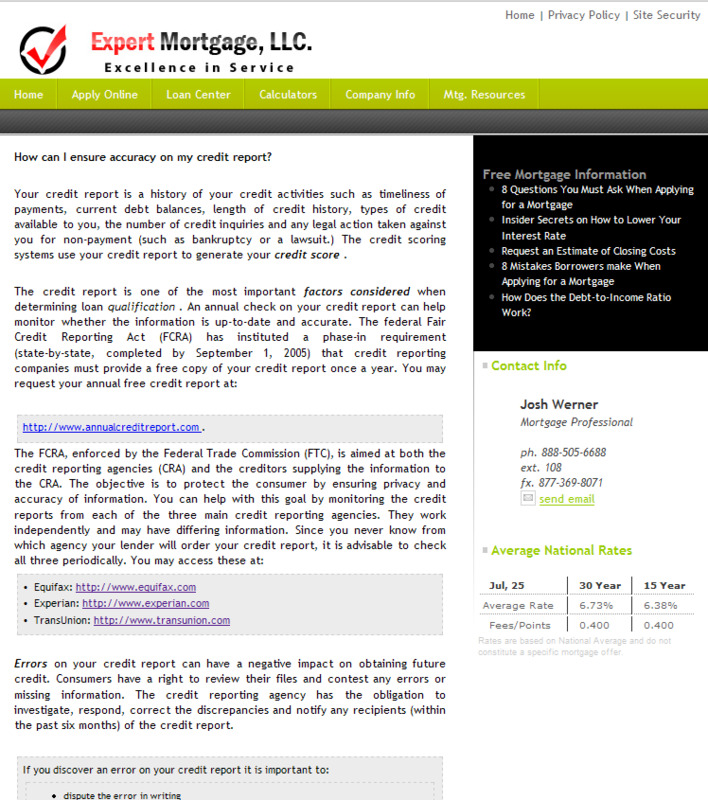 Visitors to your site will have the ability to obtain FREE reports that will in turn generate new info based leads. 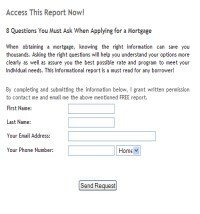 You will be notified via your email that a prospective borrower has requesting one of your FREE Mortgage Information Reports (MIR's) and your Virtual Lender system will instantly send them the requested report and send you the lead. All professionals have a great success story, bring out the best in what you do by telling your clients about your strengths and services offerings. 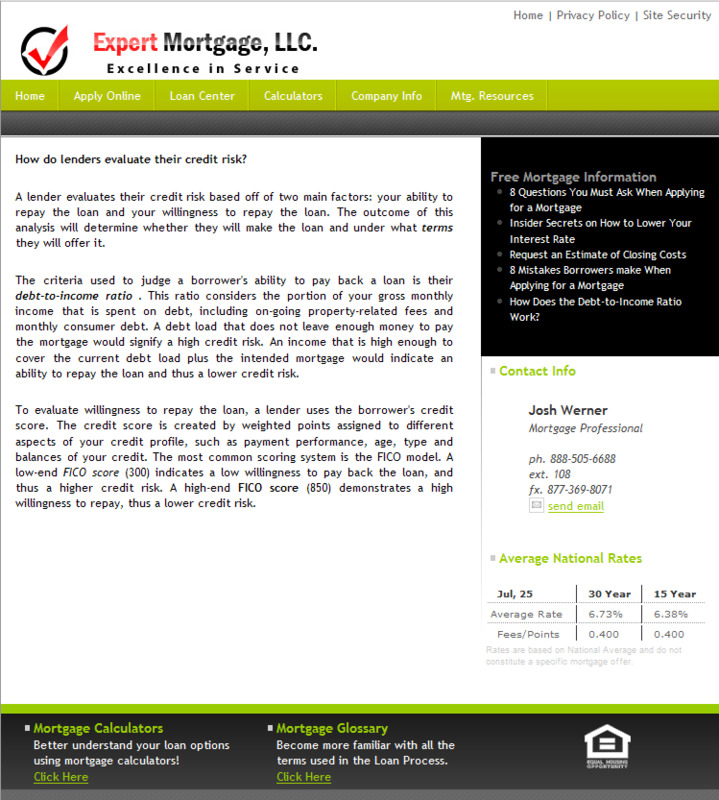 A Virtual Lender Pre-written page found within the “Content Library” of your BPM. The Accuracy of Credit page will not only contain helpful information for your borrowers, but will provide your clients with the information they need to better help them reach their dream of home ownership. 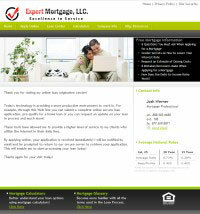 Would you like to be notified when a borrower is starting the application process on your website? Would you like to be able to call them and assist them with the process. With the Virtual Lender Application login Page you are notified in "Real Time" when a borrower has started the application process. You are given their Name, Phone, Email etc. A pre-written page found within the “Content Library” of your BPM, helps the borrower understand the difference between a Broker vs. Loan Officer. If your borrowers are buying a home or refinancing a mortgage, there are many questions bound to arise. Let these calculators guide them through matters such as whether to rent or buy; figuring the total amount they can borrow; or comparing one mortgage versus another. Make it convenient for your borrowers to view a check list of the items that are needed for the loan process by adding a Check list to your site. 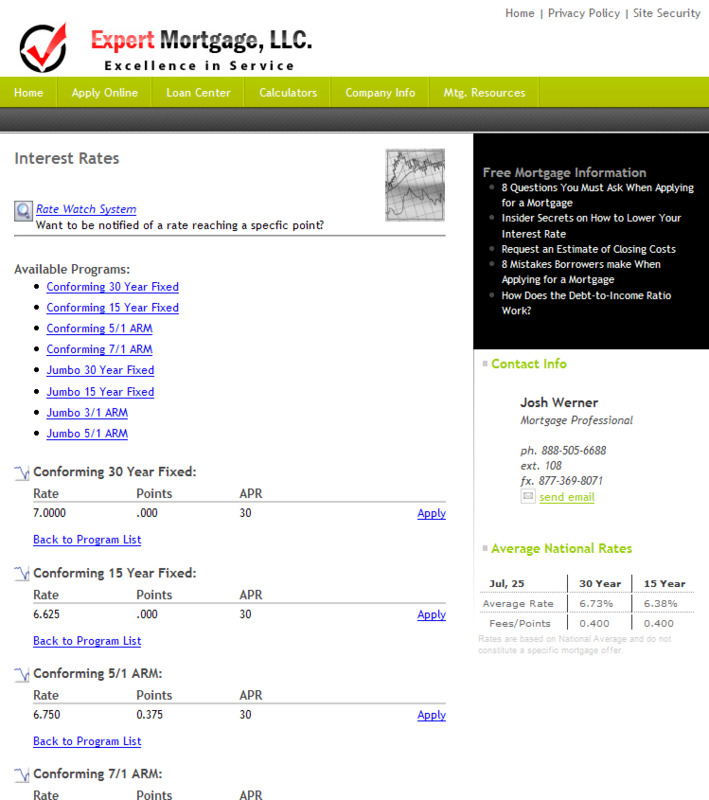 Communication is every thing, your clients will be able to submit a contact request through your site anytime . 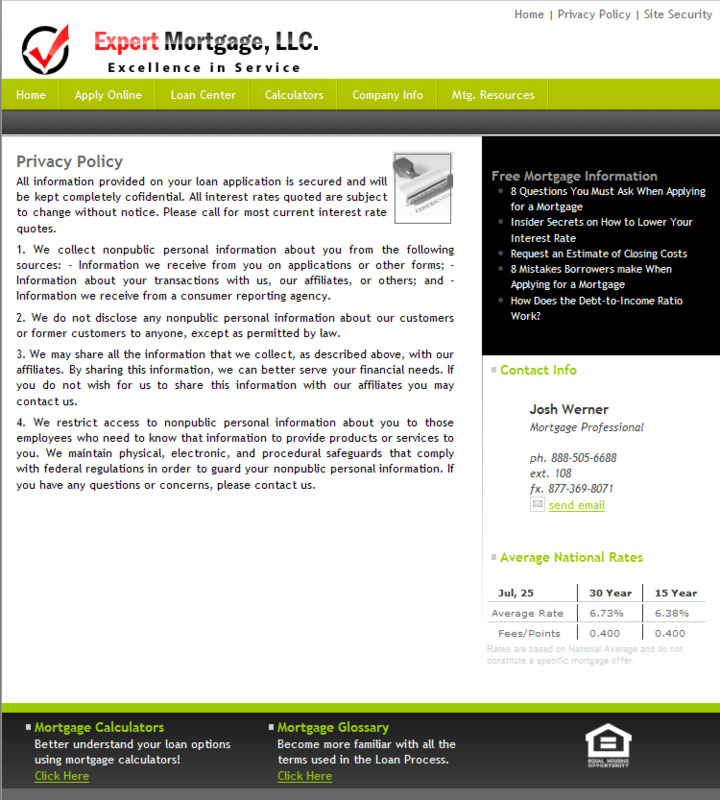 Your email address is not displayed on your website anywhere to prevent spam related software from accessing your email address instead we provide a form to collect the necessary contact info. Credit Risk is a Pre-written page found within the “Content Library” of your BPM. This page will provide the information needed for your clients better understand credit risk and how important credit is when buying a home. A Virtual Lender Lead Generator, An accurate Estimate of Closing Cost is essential for your borrowers to make an informed decision. 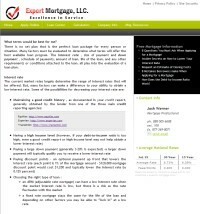 Obtain this lead to prepare an accurate Estimate of Closing Costs. A Pre-written page found within the “Content Library” of your BPM, will inform your clients of the importance that you maintain a good credit score and ensure an accurate credit report. 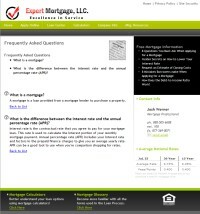 No website is complete without an FAQ page, you will have the ability to control ALL the content and tailor this page to meet your customer target. A pre-written glossary containing important industry terminology that will help any prospective borrower understand what you are talking about. A Pre-written page found within the “Content Library” of your BPM. 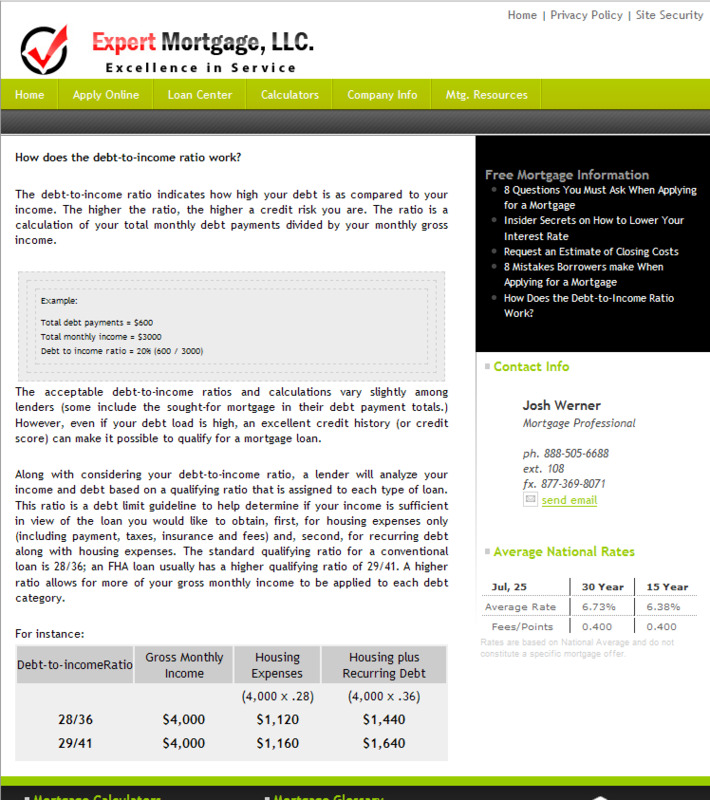 Showing every prospective borrower the importance of how the debt to income ratio plays a vital role in the mortgage process. 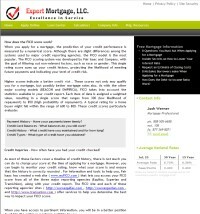 A Pre-written page found within the “Content Library” of your BPM detailing the FICO score and providing education in regards to how it effects the loan process. A Virtual Lender Pre-written page found within the “Content Library” of your BPM. 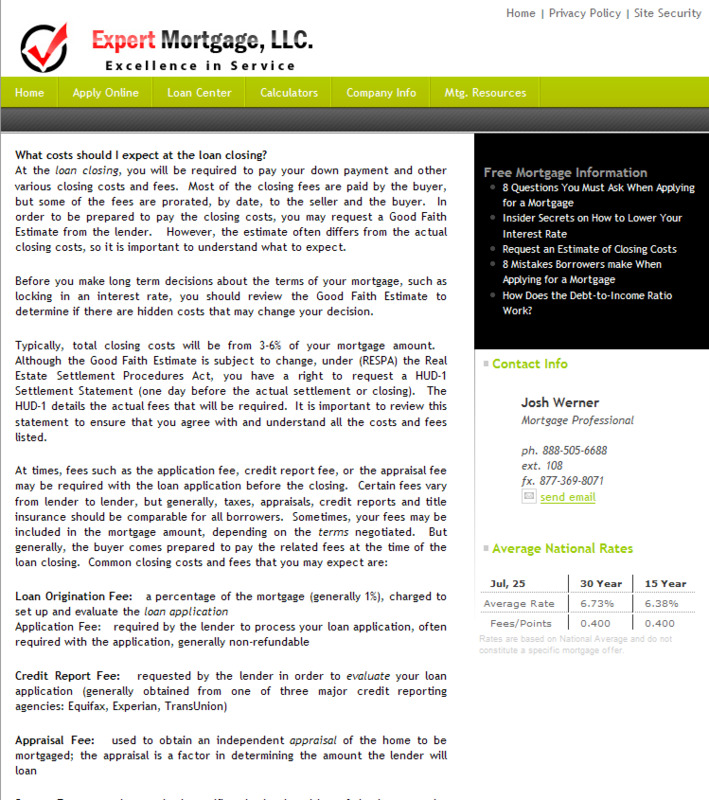 The page will describe the responsibility of a mortgage servicer. 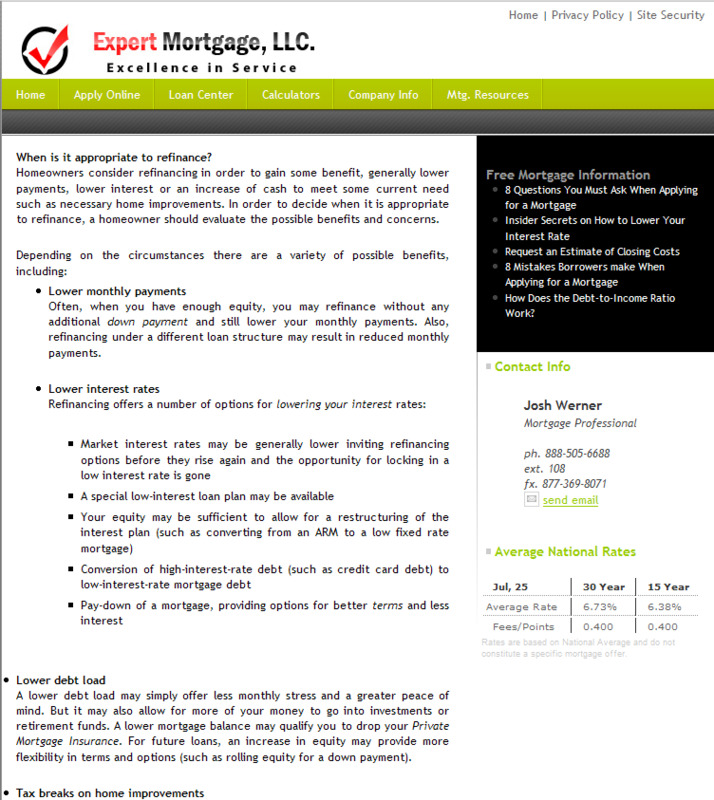 A Virtual Lender Pre-written page found within the “Content Library” of your BPM. 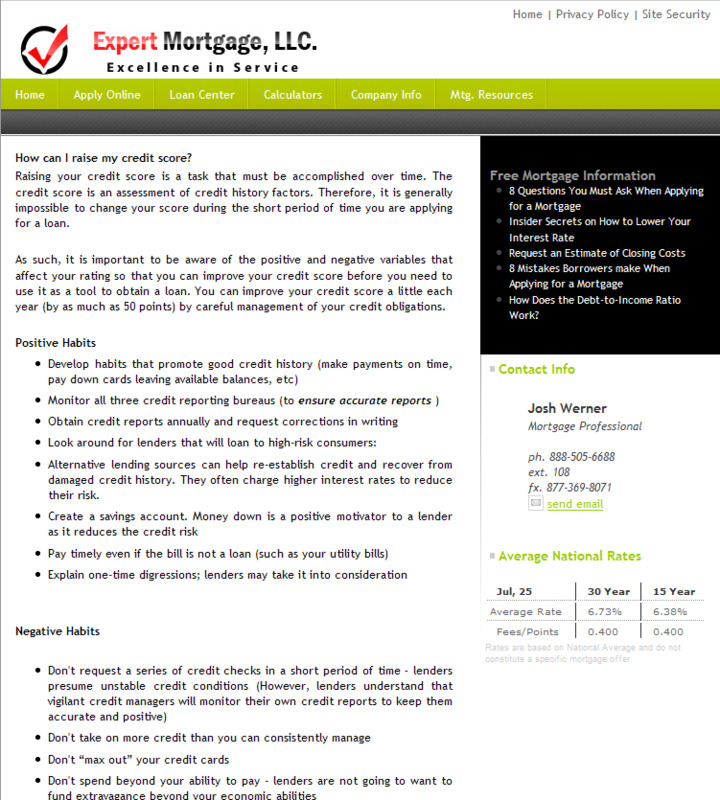 There is no set plan that is the perfect loan package for every person or situation. Many factors must be evaluated to determine what terms will offer the best available loan program. This page will give more insight to your borrowers on the Loan Term. 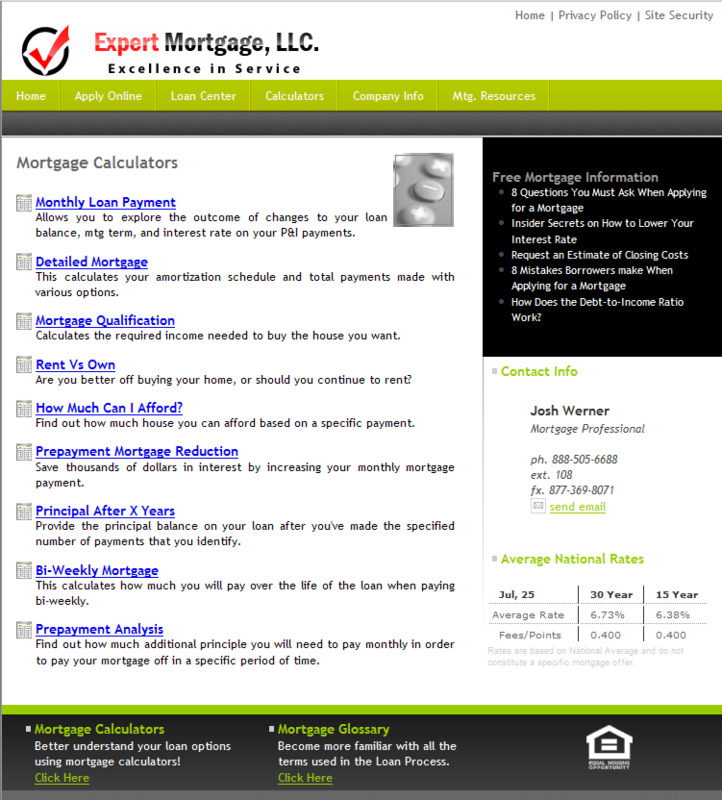 A Virtual Lender Pre-written page found within the “Content Library” of your BPM. Includes helpful information for the loan process. A Virtual Lender Pre-written page found within the “Content Library” of your BPM. This page will discuss the process of preqaulification and inform the borrower of items they will want to be aware of. 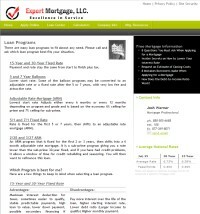 A great page describing the your different loan programs. Very informative and educational resource for borrowers of all educational levels. 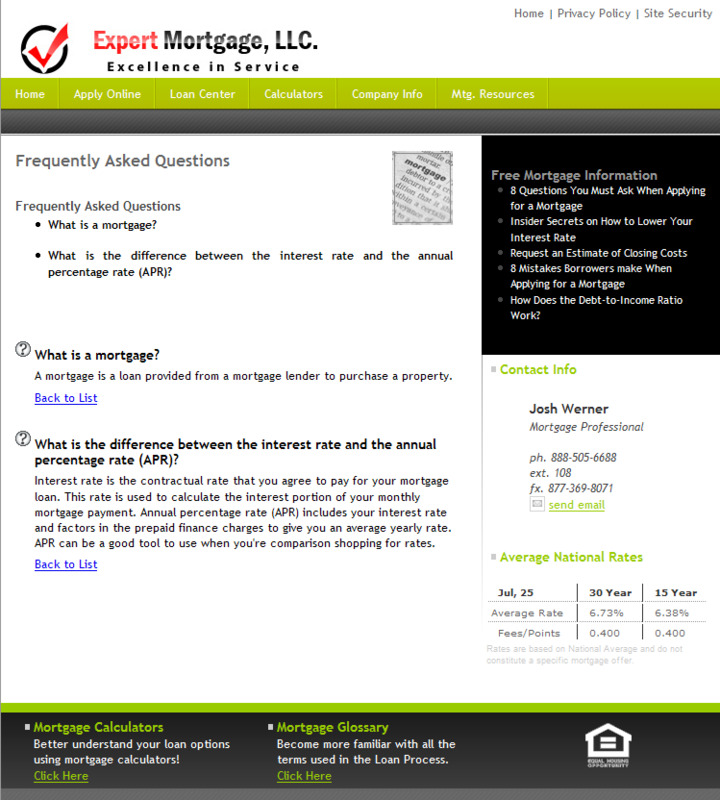 A Virtual Lender Pre-written page found within the “Content Library” of your BPM. This page is dedicated to helping the borrower understand the FICO score and it's relevance to the mortgage process. 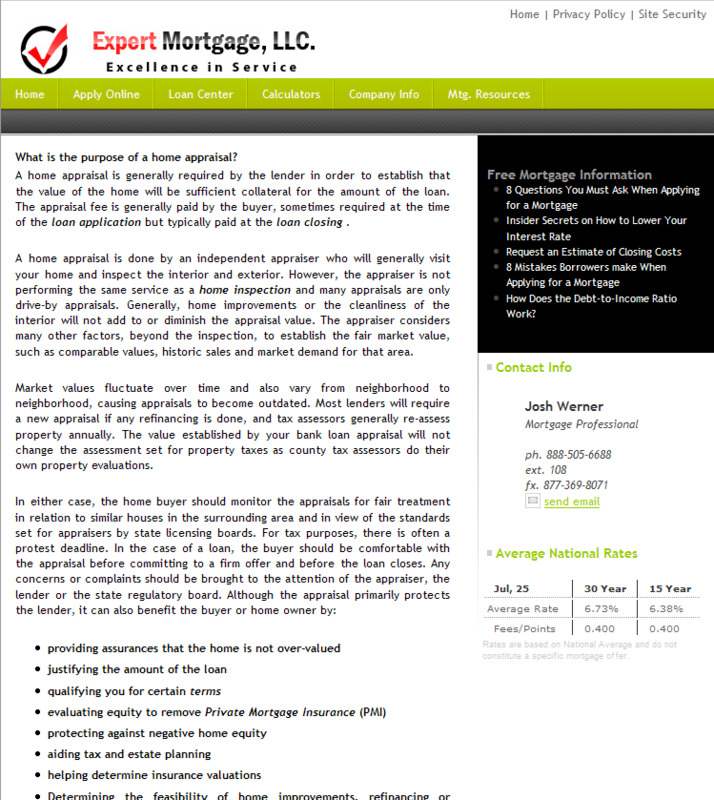 A pre-written page dedicated to the appraisal process and valuation of a home. Borrowers who visit your website can submit a rate watch request. The request will be sent to you (As a lead). 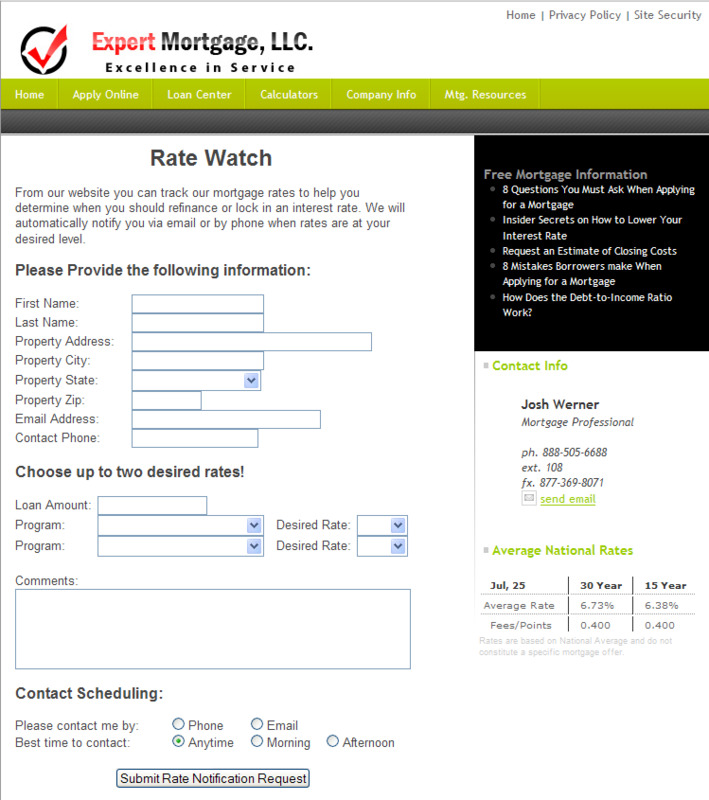 This rate watch will basically provide you the desired rate of the visitor with their contact information. 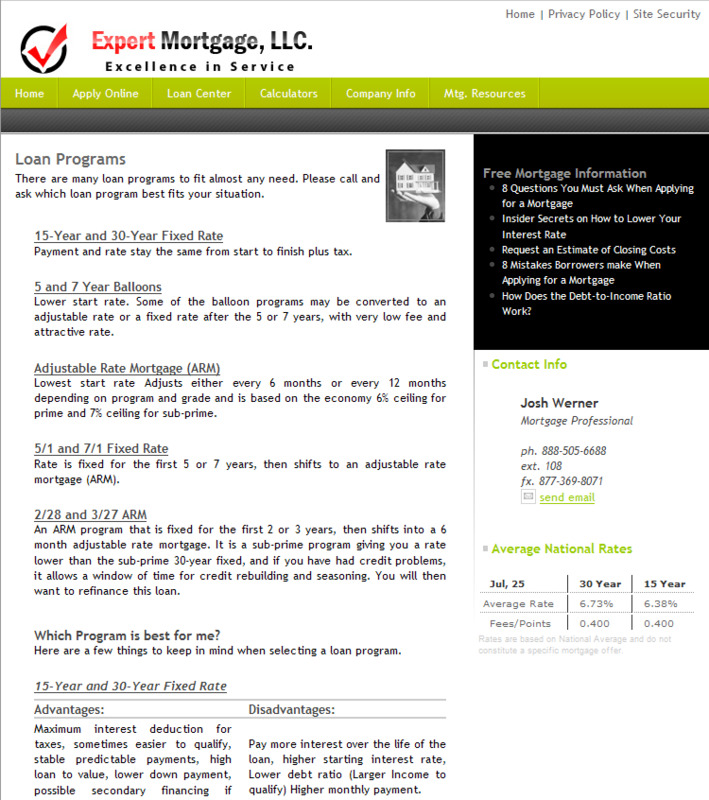 This page will allow visitors access to your mortgage programs and rates. This page can be configured from within your business process manager. This is a Pre-written page from the content library designed to explain the details of refinancing your mortgage loan. Your clients will have the flexibility of starting an application and if for some reason they are unable to complete it, save it and return later. 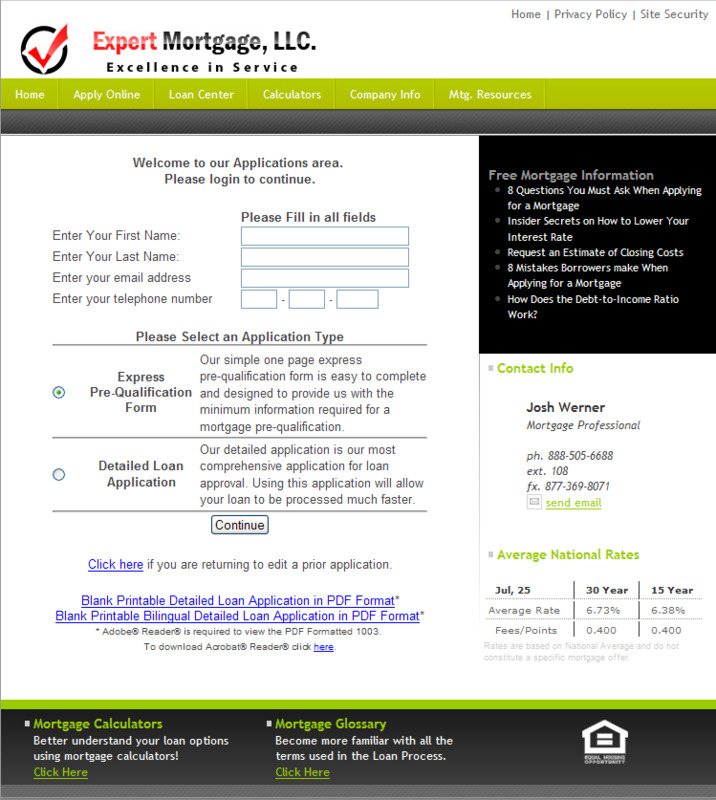 They can also convert express application to complete 1003 from the Return Application Login Page. This page is dedicated to explaining internet security, SSL encryption and more. The purpose of this page is to build trust with the borrower and help them feel more comfortable applying online. Testimonials are important to any website or business. the Virtual Lender includes a Testimonial Page that is easy to configure and setup! A dedicated page discussing the different loan types available to the borrower when applying for a mortgage loan. One of the most powerful methods of marketing on the internet today is reciprocal marketing or linking one site to another. You can link your website with you favorite real estate agent and link their site to yours. You can link with community websites or other industry related companies. This will help you build a value added network of business associates and shared visitor traffic. 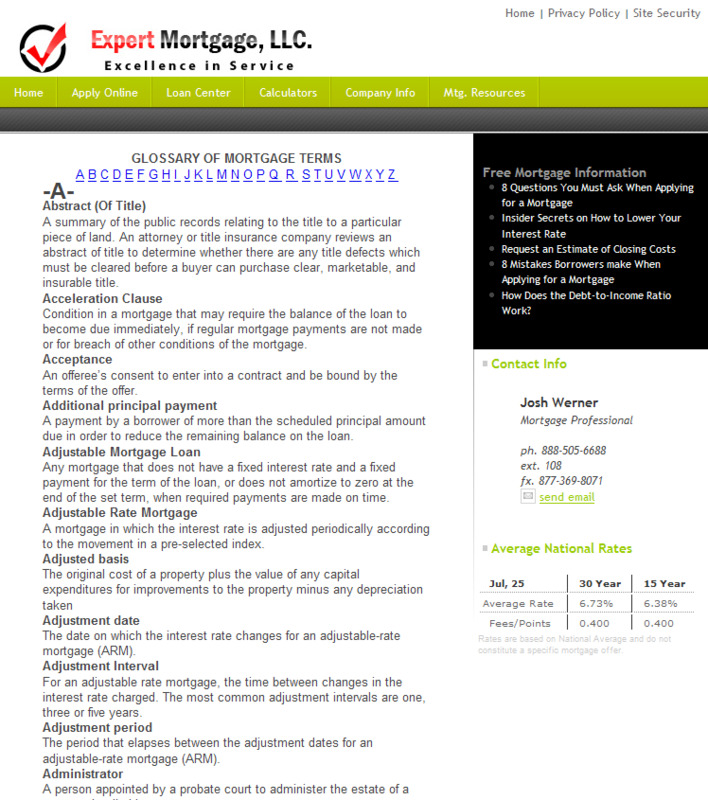 This is a Pre-written page from the content library designed to explain the closing costs aswsociated with the mortgage process of obtaining a loan. 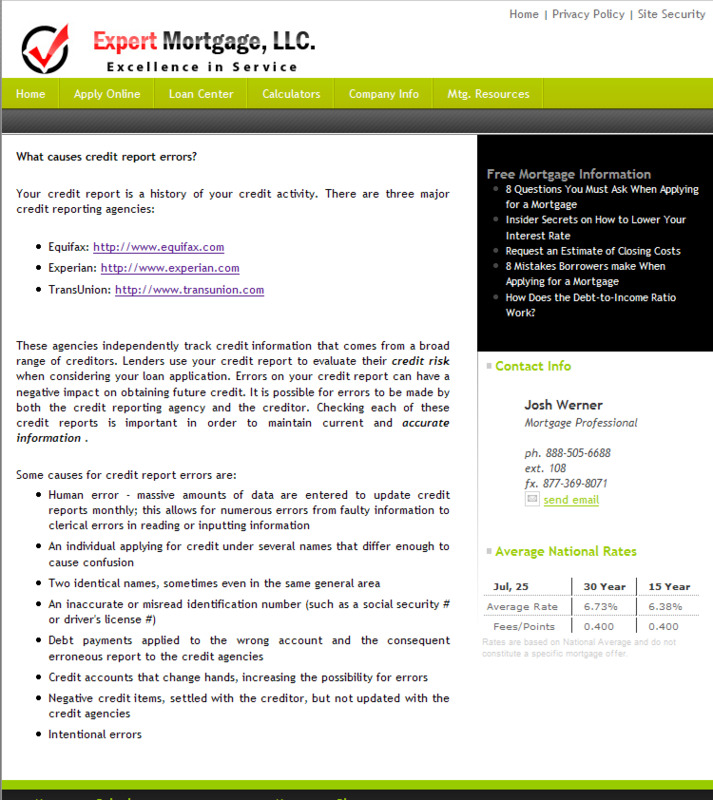 This is a Pre-written page from the content library designed to help the borrower understand the different methods available for repairing bad credit.